Eogos added a project to T3151: CSAT T-90A: Vehicles. Eogos changed the status of T3151: CSAT T-90A from Needs Review to Open. Eogos created T3151: CSAT T-90A. Eogos added a comment to T3097: GBU-12 texture bug. Eogos closed T3097: GBU-12 texture bug as Invalid. Eogos closed T3116: MAAWS cannot be zeroed as Invalid. Eogos changed the status of T3109: [DEV] Autocannon firing modes from Needs Review to Open. Eogos moved T3109: [DEV] Autocannon firing modes from Backlog to Bugs/TODO on the Weapons board. Eogos moved T3109: [DEV] Autocannon firing modes from Backlog to Bugs/TODO on the Vehicles board. Eogos merged T3108: [DEV] [WL] A2 Bradley Gunnery into T2221: M2A2 and A3 Bradley optics should be different. Eogos merged task T3108: [DEV] [WL] A2 Bradley Gunnery into T2221: M2A2 and A3 Bradley optics should be different. Eogos merged T3103: MCV80 cannon firerate/magazine capacity into T3109: [DEV] Autocannon firing modes. Eogos merged task T3103: MCV80 cannon firerate/magazine capacity into T3109: [DEV] Autocannon firing modes. Eogos moved T3092: The T-34 has the same HEAT round as the T-55 from Backlog to Bugs/TODO on the Weapons board. Eogos changed the status of T3092: The T-34 has the same HEAT round as the T-55 from Needs Review to Open. Eogos added a comment to T3092: The T-34 has the same HEAT round as the T-55. At one point the T-34-85 incorrectly had a 100mm gun, this is probably left over from that time. Eogos moved T3079: AI will not engage through windows from Backlog to Bugs on the Terrains board. Eogos added a comment to T3079: AI will not engage through windows. Confirmed happening on dev branch as well, is not just through the glass but through the window entirely. If the window is broken they still continue to not engage. Interestingly after shooting out the window and then walking into the building and letting the BLUFOR AI within shoot me, the OPFOR AI outside finally reacted and went to combat mode, engaging and killing the BLUFOR AI before it could fully kill me. Eogos changed the status of T3079: AI will not engage through windows from Needs Review to Open. Eogos added a comment to T3003: Replace Takistan Army Helmet with SLA Helmet model. Eogos closed T3003: Replace Takistan Army Helmet with SLA Helmet model as Resolved. Eogos changed the status of T2305: BTR-90 Wheel Damage from Needs Review to Open. Eogos moved T2305: BTR-90 Wheel Damage from Backlog to Bugs/TODO on the Vehicles board. Eogos added a comment to T3002: GPNVGs not in editor and have incorrect NVG visual. I think two tickets were somehow created at the same time, cause if you look at the time stamp for when the other one was created you'll see that it was only a minute behind this one. Didn't mean to try to reopen it at all. Eogos closed T3002: GPNVGs not in editor and have incorrect NVG visual as Invalid. Eogos changed the status of T3003: Replace Takistan Army Helmet with SLA Helmet model from Needs Review to Open. Eogos created T3003: Replace Takistan Army Helmet with SLA Helmet model. Eogos added a comment to T3001: GPNVGs not in editor and have incorrect NVG visual. They are intended to have the vanilla style unless you're using ACE and of course they're only found in arsenal, most equipment is like that. Eogos closed T3001: GPNVGs not in editor and have incorrect NVG visual as Invalid. Eogos moved T3000: Challenger 2 barrel from Backlog to Bugs/TODO on the Vehicles board. Eogos changed the status of T3000: Challenger 2 barrel from Needs Review to Open. Eogos added a comment to T3000: Challenger 2 barrel . Was the CBA setting to make barrels collide with things turned on when you tested this? Eogos added a comment to T2993: Damage model of the RPG-18 is insufficient. Not exactly, depends on where the warhead itself hits. If it hits an empty troop compartment it wont do much as all, except possibly kill anyone sitting in that compartment. I get what you're saying though. Eogos moved T2800: M60 Machinegun Foregrip from Backlog to Bugs/TODO on the Weapons board. Eogos changed the status of T2953: Mismatch between the AIM-9L name and actual texture from Needs Review to Open. Eogos added a parent task for T2903: [DEV] AI with RPG7 + PG-7VR "heavy" rocket do not fire on enemy vehicles: T2902: [DEV] AI with Certain Light AT weapons do not engage certain tanks. Eogos added a subtask for T2902: [DEV] AI with Certain Light AT weapons do not engage certain tanks: T2903: [DEV] AI with RPG7 + PG-7VR "heavy" rocket do not fire on enemy vehicles. Eogos moved T2903: [DEV] AI with RPG7 + PG-7VR "heavy" rocket do not fire on enemy vehicles from Backlog to Bugs/TODO on the Weapons board. Eogos changed the status of T2903: [DEV] AI with RPG7 + PG-7VR "heavy" rocket do not fire on enemy vehicles from Needs Review to Open. Eogos moved T2993: Damage model of the RPG-18 is insufficient from Backlog to Bugs/TODO on the Weapons board. I can confirm the RPG18 is penning the vehicles it should just fine, however it does need a bit of boost to it's post penetration effects as while it does pen, a unit on the other side of the armor being hit will only receive minor damage in some instances. Though in my testing it did appear a single shot to the engine block of a T-55 was sufficient to knock it out so some fine tuning will be required to get it right. Eogos changed the status of T2993: Damage model of the RPG-18 is insufficient from Needs Review to Open. Eogos moved T2902: [DEV] AI with Certain Light AT weapons do not engage certain tanks from Backlog to Bugs/TODO on the Weapons board. Eogos moved T2902: [DEV] AI with Certain Light AT weapons do not engage certain tanks from Backlog to Bugs/TODO on the Vehicles board. 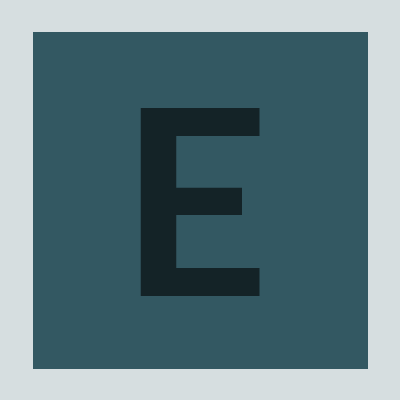 Eogos added a comment to T2902: [DEV] AI with Certain Light AT weapons do not engage certain tanks. Eogos changed the status of T2902: [DEV] AI with Certain Light AT weapons do not engage certain tanks from Needs Review to Open. Eogos raised the priority of T2907: [DEV] UH-1Y gunsight not collimated and not properly aligned from High to Unbreak Now!. Eogos added a comment to T2907: [DEV] UH-1Y gunsight not collimated and not properly aligned. Eogos moved T2907: [DEV] UH-1Y gunsight not collimated and not properly aligned from Backlog to Bugs/TODO on the Vehicles board. Eogos changed the status of T2907: [DEV] UH-1Y gunsight not collimated and not properly aligned from Needs Review to Open. Eogos moved T2917: [DEV] Vodnik lists/tilts slightly to left (portside) from Backlog to Bugs/TODO on the Vehicles board. Eogos changed the status of T2917: [DEV] Vodnik lists/tilts slightly to left (portside) from Needs Review to Open. Eogos moved T2934: M1A1 Abrams ERA Issues from Backlog to Bugs/TODO on the Vehicles board. Eogos added a comment to T2934: M1A1 Abrams ERA Issues. Eogos changed the status of T2934: M1A1 Abrams ERA Issues from Needs Review to Open. Eogos changed Branch from cup:branchrelease to cup:branchdev on T2926: BTR-60PB has incorrect bullet hit effect. Eogos moved T2950: BAF Land Rovers' destroyed textures disappear when underwater. from Backlog to Bugs/TODO on the Vehicles board. Eogos changed the status of T2950: BAF Land Rovers' destroyed textures disappear when underwater. from Needs Review to Open. Eogos moved T2954: SU-25T is missing a laser designator from Backlog to Bugs/TODO on the Vehicles board. Eogos changed the status of T2954: SU-25T is missing a laser designator from Needs Review to Open. Eogos added a comment to T2973: Inaccurate flight model SU-34. Eogos closed T2973: Inaccurate flight model SU-34 as Invalid. Eogos moved T2995: BRDM-2 is floating a few cm from Backlog to Bugs/TODO on the Vehicles board. Eogos moved T2987: ATGM Strykers missing an AI for the commander's seat from Backlog to Bugs/TODO on the Vehicles board. Eogos added a comment to T2987: ATGM Strykers missing an AI for the commander's seat. The commander seat doesn't really do anything on those vehicles besides act as a FFV slot atm so it's not the biggest deal. Eogos changed the status of T2987: ATGM Strykers missing an AI for the commander's seat from Needs Review to Open. Eogos changed the status of T2989: Vehicles with no datalink from Needs Review to Open. Eogos moved T2998: ChDKZ Afghanski shilka has the same name of the regular shilka in the editor from Backlog to Bugs/TODO on the Vehicles board. Eogos added a comment to T2998: ChDKZ Afghanski shilka has the same name of the regular shilka in the editor. That'd be because it's the wrong vehicle entirely, it's the regular one again. Eogos changed the status of T2998: ChDKZ Afghanski shilka has the same name of the regular shilka in the editor from Needs Review to Open. Eogos added a comment to T1316: Make some launchers disposable. ACE is literally 145MB, if you have problems downloading that you probably have problems playing the game. I see no point in making a needless change that is already covered by another mod, especially one CUP has compats with for this kind of thing. Eogos moved T2976: AI Fixed Wing from Backlog to Bugs/TODO on the Vehicles board. Eogos changed the status of T2976: AI Fixed Wing from Needs Review to Open. Eogos created T2976: AI Fixed Wing. Eogos closed T2969: Chinook door gunners 3rd person view as Invalid. Eogos added a comment to T2969: Chinook door gunners 3rd person view. I don't think it is but if that is the correct way that's pretty fucked up as you basically can't use it in 3PV then. I'll go load up arma again and test it. I don't think you get what I mean, the camera is locked forward as in the way the nose of the chinook is pointed not the way the gunner is facing. Also, even if it was locked the way the gunner is pointed that'd be a little annoying imo but idk I don't normally play in third person. Eogos moved T2969: Chinook door gunners 3rd person view from Backlog to Bugs/TODO on the Weapons board. Eogos moved T2969: Chinook door gunners 3rd person view from Backlog to Bugs/TODO on the Vehicles board. Eogos changed the status of T2969: Chinook door gunners 3rd person view from Needs Review to Open. Eogos created T2969: Chinook door gunners 3rd person view. Eogos added a comment to T2964: Sahrani. Could not reproduce on all three maps with Rahmadi on them, including standalone Rahmadi. Eogos closed T2964: Sahrani as Invalid. Eogos added a comment to T2962: Ballistic Shield M9 Texture. Eogos moved T2962: Ballistic Shield M9 Texture from Backlog to Bugs/TODO on the Weapons board. Eogos changed the status of T2962: Ballistic Shield M9 Texture from Needs Review to Open. Eogos merged T2938: chernarus (winter) snowfall into T2561: Winter Chernarus Issues. Eogos merged task T2938: chernarus (winter) snowfall into T2561: Winter Chernarus Issues. Eogos moved T2708: Shooting with the M60A3 commander's gun resets gunner's FCS from Backlog to Bugs/TODO on the Vehicles board. Eogos moved T2911: Dynamic armor T-90A from Backlog to Bugs/TODO on the Vehicles board. Eogos moved T2870: [DEV] Several wheeled vehicles Too Slow/Underpowered from Backlog to Bugs/TODO on the Vehicles board. Eogos changed the status of T2870: [DEV] Several wheeled vehicles Too Slow/Underpowered from Needs Review to Open. Eogos moved T2871: [DEV] Humvees too quick/overpowered from Backlog to Bugs/TODO on the Vehicles board. Eogos changed the status of T2871: [DEV] Humvees too quick/overpowered from Needs Review to Open. Eogos added a comment to T2840: BMP no correct position cam. To correct the broken English for anyone who might not understand, the first person camera of the FFV positions on the BMPs stated are broken horribly. Also I can confirm it happens on current Dev build as well. Eogos moved T2840: BMP no correct position cam from Backlog to Bugs/TODO on the Vehicles board.